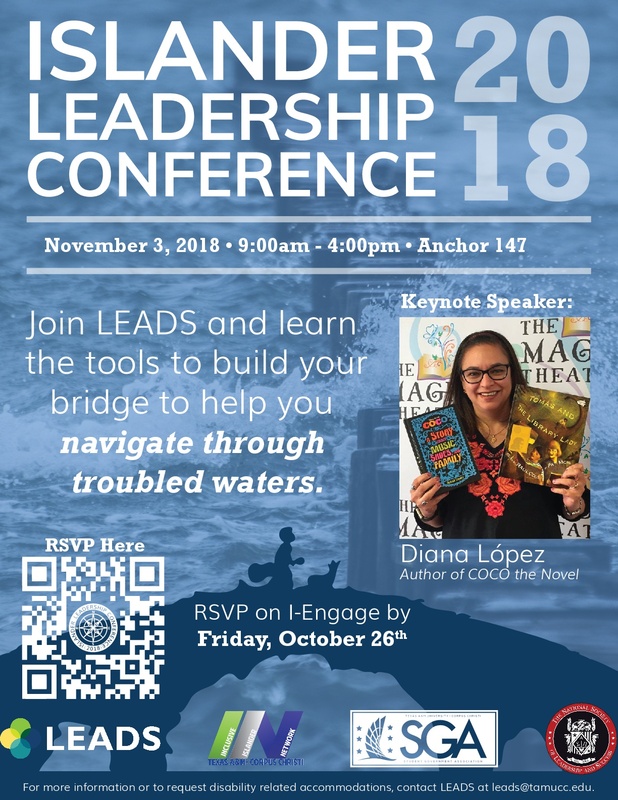 The Islander Leadership Conference is a free, day-long, opportunity for students to attend a variety of breakout sessions on general leadership topics, as well as hear an inspiring keynote address by Diana Lopez, the author of Coco. This conference is provided to students with the intent to improve leadership skills, to make students more marketable in the workforce, and to grow individuals into global leaders. Our conference theme this year is "Navigating through Troubled Waters" and breakout sessions will focus on how to help students through difficult areas of leadership or professionalism.